Connie Robinson began serving at the Modesto Gospel Mission as Volunteer Coordinator in 2017, and currently serves as the Mission’s Development Coordinator. As Development Coordinator, Connie works closely with volunteers, businesses, and organizations who contribute to meeting the needs of the poor and homeless in our community. Connie is originally from the bay area and attended night school while working taking courses in business and marketing strategies. 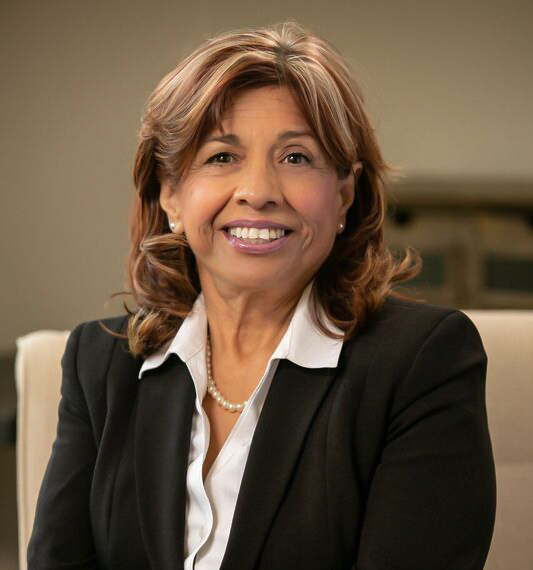 She opened her first business in 1983, and she served as chief operating officer for a lucrative construction company until 1997 – when she obtained her California real estate license. In 1999, her husband Rob & their 5 children moved to the central valley to be closer to family. In 2001 after moving to Modesto, ZipReality hired Connie to pioneer their first internet sales team, and her team was recognized for the success and new standards they achieved for the organization. In 2003, Connie joined ERA Village One Realestate LLC and completed management training in Parsippany, New Jersey through Reology Inc. She enjoyed a lucrative real estate career while helping and training others. Connie remains an active member of the Central Valley Association of Realtors, California Association of Realtors, and the National Association of Realtors; and is still a licensed agent with the California Department of Real Estate. While working in the real estate industry, Connie and her husband purchased a 10-acre ranch in Oakdale, and her family currently enjoys owning and working with the horses, chickens and other farm animals they own. Connie’s family are almond farmers and are members of Blue Diamond. While enjoying farm life, Connie has used their farm to host charity events for organizations based all over the world. Her family has partnered with Crossroads Church’s Missions Ministry to host missionaries from the outskirts of Nairobi; has worked with Farming Gods Way to annually raise money for Sunbeam Children’s Ministry in Cambodia for the prevention and intervention of child trafficking; and she has partnered with Soldiers of the Cross to continue to raise funds for orphanages all over the world. Connie states that she is most proud that 41 years ago she gave her life to the Lord and was able to overcome an addiction to alcohol and drugs, and since then has enjoyed a fulfilling life being able to help others with the same affliction. Connie has served in her church as a worship leader, and considers this position as her personal way of thanking God for her truly blessed life. Taking courses in business and marketing strategies; licensed agent with the California Department of Real Estate; Management training through Reology Inc.; Disney Institute’s Approach to Leadership Training; Mission Increase Foundation Classes; Transformational Giving; Certified Fund Raising Executive.